What you’re trying to do, when you calculate your hotel occupancy rate, is to divide the number of rooms booked by the number of rooms available. Put simply, a hotel with 50 rooms of which 35 are already booked has a 70% occupancy. 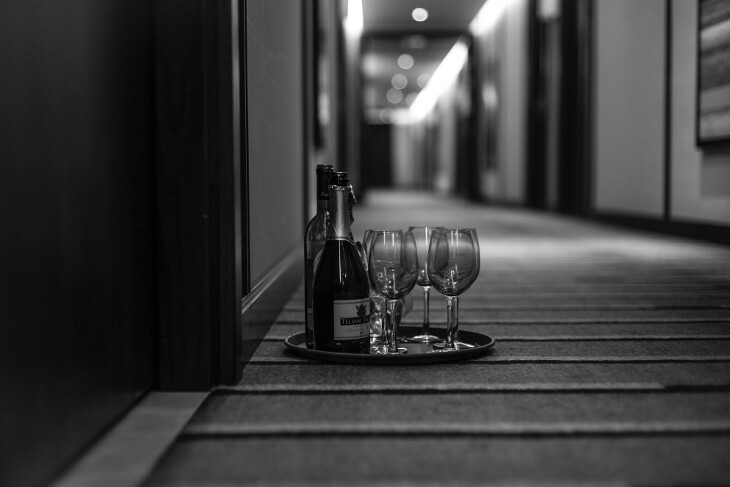 For hotel managers, it’s absolutely vital to get good occupancy ratings. In fact, the occupancy rate is one of the most important variables to judge the performance of a hotel. Which brings us to the three improvements you can make to your hotel revenue management strategy to boost your occupancy rate. What follows is a detailed summary of how you can achieve a better occupancy rate performance. When setting up your revenue management goals, you are looking at implementing an overbooking strategy. It’s a great way to increase the level of your hotel occupancy while also improving your revenue. 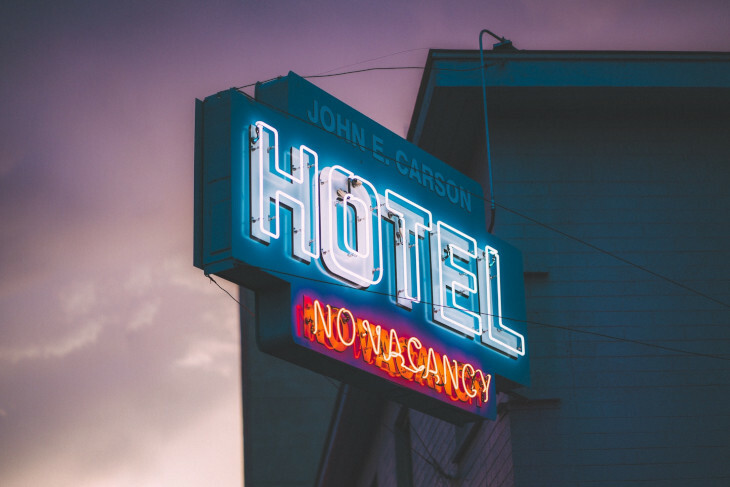 To improve a hotel occupancy, Athanasius Zakhary, researcher at Cairo University, recommends to “allow bookings to exceed the available hotel capacity, in anticipation that several reservations will be cancelled”. The study conducted by Zakhary determined however that an overbooking strategy can have a negative impact on the hotel performance if not conducted using an efficient Revenue Management system. Imagine how your clients feel when they are told their hotel accepts more reservations than its actual capacity. It can be annoying and may negatively impact your hotel brand, which will affect your goodwill and potential future sales. If your overbooking strategy is too broad, your hotel will probably incur extra costs for guests who might need to find another hotel. To avoid these pitfalls, make sure to implement a revenue management plan that helps you forecast arrivals and occupancy levels as accurately as possible. 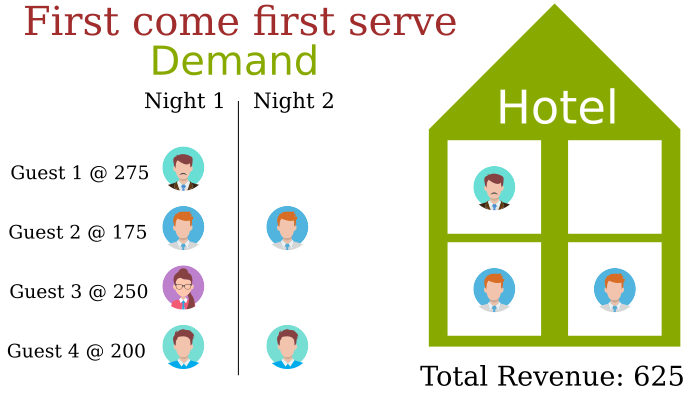 This will result in a better overbooking strategy that can boost your occupancy rate and revenue. At Bedvine, we’ve implemented a rate shopping and revenue management platform which also reports on the demand forecast. 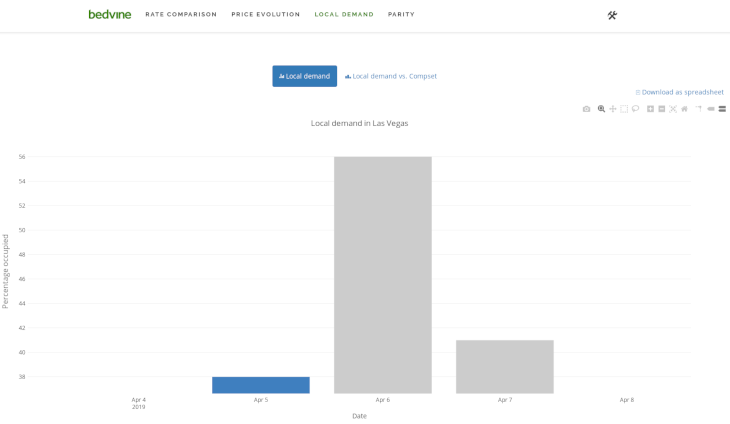 It lets you get the freshest demand forecast for your locality and the latest prices from your direct competitors. The cloud-based platform displays local demand data, competitors prices and encourages you to look at your local market more closely. 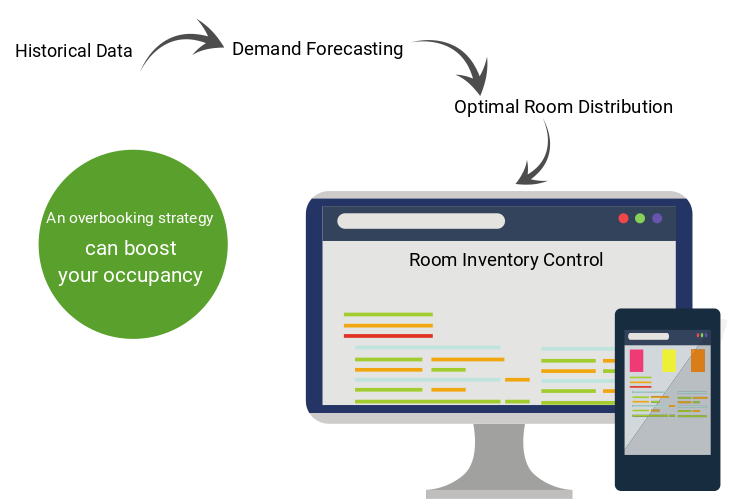 This will help you decide on the most optimal number of rooms to allocate in each room category in your revenue management system and decide on their respective prices. Length of stay restrictions are your most compelling way to increase your occupancy rate. Minimum length of stay strategies are an excellent revenue management tool because they make you accept longer duration stays and refuse shorter stays during periods of high demand, when expected to be followed by a quieter period. When setting up minimum length of stay restrictions, you’re taking steps to increase your occupancy rate during these off-peak periods. That allows you to be focused on filtering the right customers, which helps drive up revenue. How would you allocate your hotel rooms between those potential customers? A better way to allocate your resources is however possible when using the minimum length of stay restriction mechanism. In the hypothetical scenario, we have increased our revenue by carefully applying minimum length of stay restrictions for the two dates. The same kind of reasoning can apply to maximum length of stay strategies. Let’s say you usually offer preferable rates for multiple night stays. During high demand periods, start by refusing those specific rate reservations so that guest expected to stay longer than your maximum length of stay pay your rack rate for additional nights. As you can afford to sell your rooms at a higher rate at this period in time, you are able to better allocate your rooms to more valuable customers. Note that the grey bars indicate weekends and blue bars indicate weekdays. According to the above illustration, and taking into account what was said before, it would make sense to set a minimum length of stay 2 for guests arriving on Friday, which would keep Saturday booked off for the room. You can set your minimum length of stay in the Bedvine booking engine by going to your Setup pages. 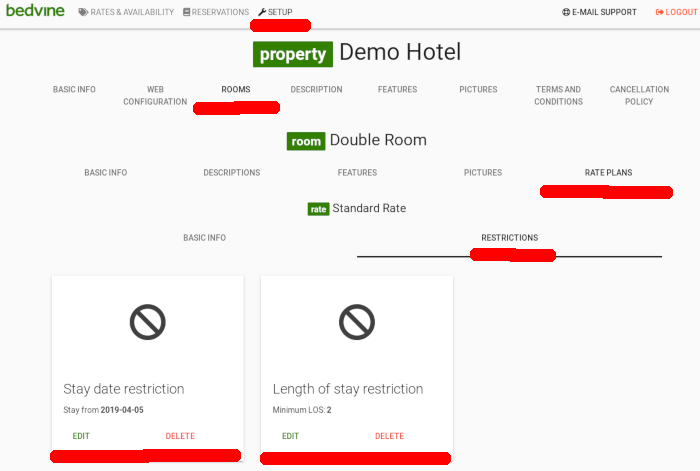 Click Edit on your property name and navigate to Rooms > Rate plans > Restrictions. Here you can restrict the rate to apply a minimum length for the given stay date. Finally, when setting up length of stay restrictions, remember that customers visit your hotel for various reasons. Some of them are business travellers staying for one or two nights, while others are holidaymakers who might stay up to one week at your hotel. The key is to match your Length of Stay restrictions to your clients intent. One of the challenges that hotel entrepreneurs have is choosing a brand. People often make the shift towards an established brand, picking a franchise based contract because relying on a large and established brand can be seen as a safe option. A study conducted by Hellofs and Jacobson determined that “brand size is positively linked to occupancy percentage”. There has been much discussion recently in industry-leading publications about the effectiveness and limits of the large brand effect theory. According to a report by S. C. Michael, a negative correlation exists between the number of units a franchised brand holds and guest satisfaction level together with occupancy rate. As franchise brands mostly focus their efforts towards brand management, franchising expansion and franchise fee collection, they sometimes miss the opportunity to work on guest satisfaction. Enhancing guest service and guest satisfaction is a powerful tool for driving engagement and loyalty with your hotel, which may end up improving your global occupancy rate. As a potential franchisee, it’s important to address both the property management and guest satisfaction issues you may face and which are not the main focus of your franchisor. Thanks for reading! Feel free to connect with our team at info@bedvine.com. Let us know in the comments if you feel like sharing your experiences on improving your hotel’s occupancy rate.